Silenus was an adventurer, who spent many years wandering far away lands in search of fame and fortune. Over the years Silenus meet many fellow adventurers whom he would come to call, friend. But sadly, adventuring life took its toll, and a number of Silenus’ dear friends fell foul of hazardous dungeon traps and wandering monsters. Thus when Silensus retired from adventuring life, he setup a small school for adventurers. His hope being, that he could prepare young adventurers for the hazards of adventuring life. As part of the school, Silenus constructed a wizards maze – the Pyramid of Silenus – better known today as the Folly of Silenus. Back in the day, in order to graduate from the school, each student had to enter the Pyramid of Silenus and return with an idol that was hidden inside a special chamber within the maze. Upon returning to the school with the idol, the student graduated as an adventurer, ready to explore real dungeons! Sadly Silenus succumbed to old age and passed on to the next world. Now with Silenus gone the School of Adventuring lost it’s benefactor and closed down. All that remains of the wizards legacy, is the Folly. Yet even today, it is still enchanted with mighty magic, still ready to teach young adventures a thing or two. Do you dare explore the Folly of Silenus? The Folly of Silenus is a mini-adventure that you can use in your existing fantasy adventure. 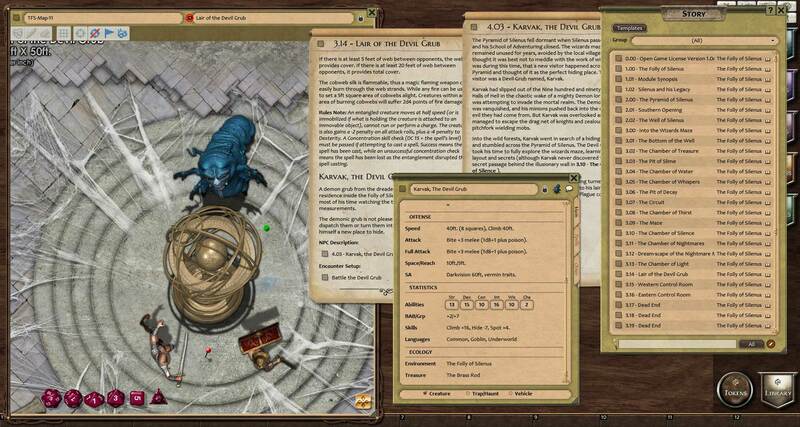 The encounter location comes complete with maps, tokens, and Game Master Story Notes. 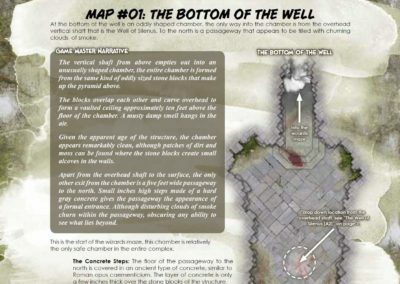 The Folly of Silenus is a mini-adventure site (or as we call it at Studio WyldFurr: a Compass Point) that a Dungeon Master can drop into their campaign as a side adventure or as an adventure all by itself. 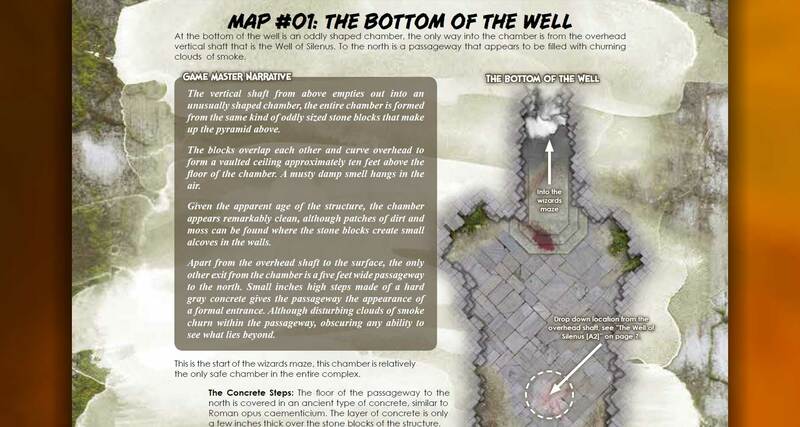 The package includes everything the Dungeon Master needs, maps of the Folly (a wizards maze), plus a wealth of narrative and story information that details the Folly of Silenus itself and the inhabitants associated with it. 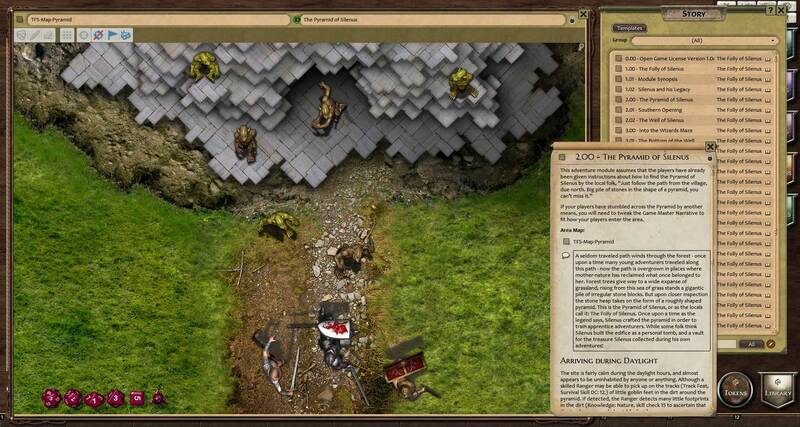 Do you role-play online using a virtual tabletop system such as Battlegrounds, Roll20, or d20Pro and still want to use The Folly of Silenus in that system? 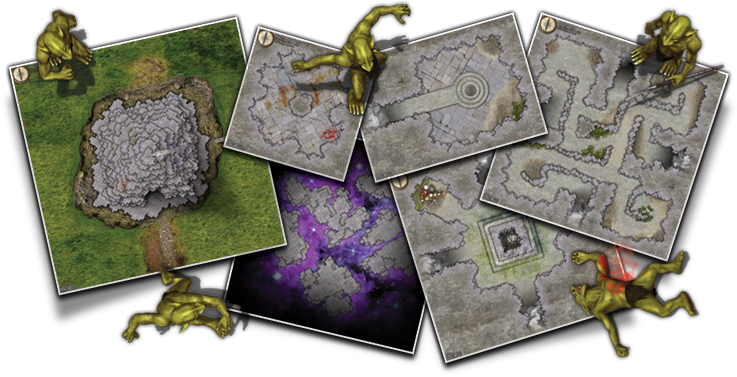 If the answer is yes, then the Generic Virtual Tabletop Edition of the Folly of Silenus is the package for you. 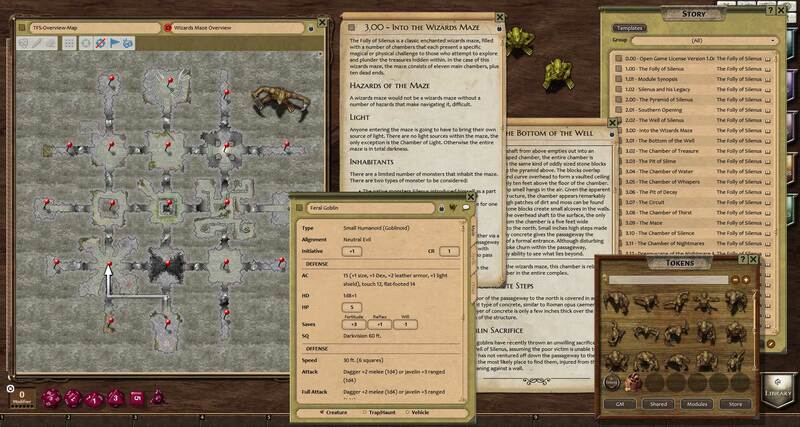 The pack contains all of the story documentation as a PDF, plus the tokens and maps as stand alone images you can import into your choice of virtual tabletop system.